Recycling is as easy as tossing plastic, metal and paper into your home’s designated recepticle, right? Wrong. Rules vary according to city and states, and regulations on what and how items can be recycled can change annually, especially for businesses. Some recycling can be single stream, and other times it must be source separated. In an attempt to reduce confusion, streamline the recycling process, and bring the practice into the future, the Pittsburgh-based company CleanRobotics is building TrashBot, an intelligent robot that not only separates recyclables, but monitors a user’s waste management process via data analysis, whether it’s in a building or city, and so on. On Day 2 of Thrival, CleanRobotics demoed TrashBot for attendees of Thrival Innovation’s collaborative event with the Carnegie Art Museum, which featured new media art installations, tech startups, multimedia performances, and panels with the likes of Pittsburgh native and hip-hop artist Wiz Khalifa. 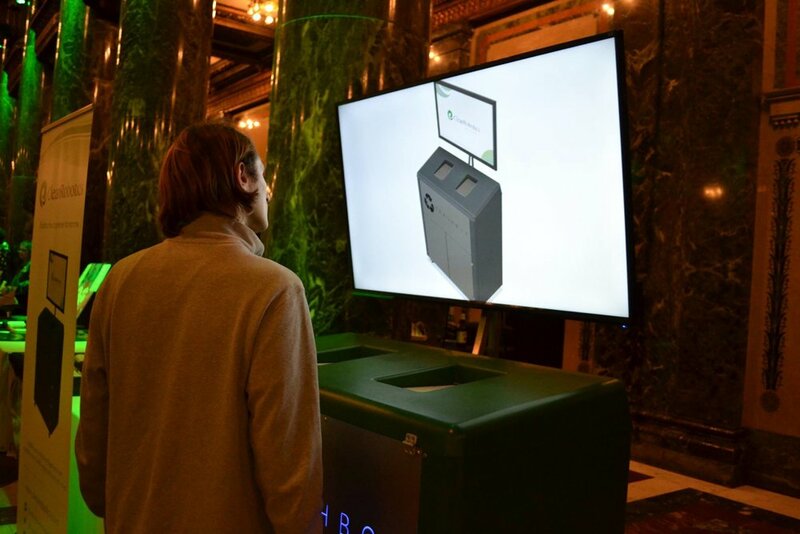 Attendees were encouraged to the company’s booth with their waste and drop it in TrashBot, while a couple of CleanRobotics employees explained how it sorts recyclables. Jennifer Trinh, Clean Robotics’ Director of Operations, told Thrival that it’s actually hard to recycle in the correct way. “You can’t, for instance, recycle a pizza box because of the grease in it,” she noted. What TrashBot does is separate landfill waste (a greasy pizza box, for instance) from recyclables at the point of disposal. It also features a screen with directions for users, such as, “Deposit waste one item at a time”. This in itself is interesting because it gets people to slow down and think about the waste disposal process. Though it’s still early on in the development of TrashBot, Trinh said that in the future units could appear in neighborhoods. Another great location would be apartment buildings, where lack of storage space and pickup service makes it hard for families to be green through proper waste disposal and recycling practices. 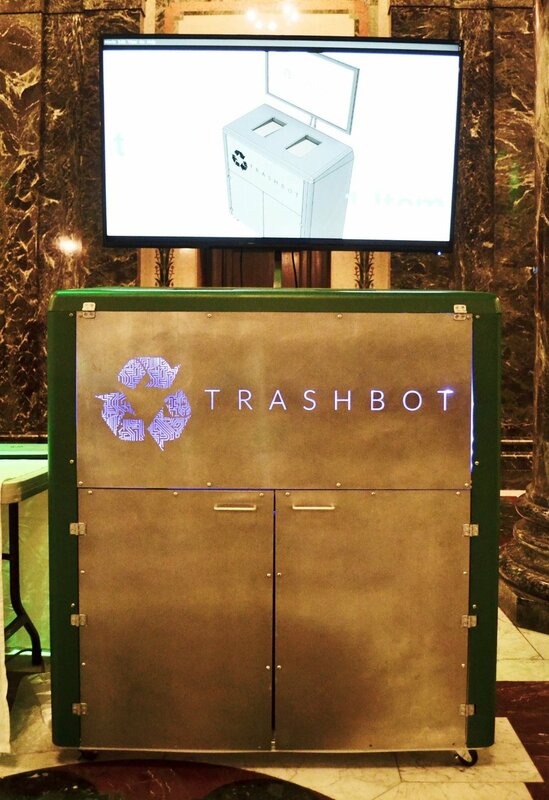 To stay up to day on TrashBot’s development, visit CleanRobotics’ Facebook and Instagram pages.